This is the interview I gave Yussef Rafik (website: yussefrafik.com) regarding why I do what I do. Really interesting questions. I hope you enjoy it! Throughout my ‘Conservation Conversations’ blog series, I have spoken to a wide range of people working in wildlife conservation, but one area that I am yet to gain an insight in is the role of a wildlife photographer. Dabbling in a bit of wildlife photography myself, I have on several occasions come across the huge positive impact photography can have on conservation issues, particularly in terms of raising awareness. However, I’m interested in finding out more about how it can be used in conjunction with socio-ecological aspects to trigger emotion and get people talking. Thankfully I know a fantastic wildlife photographer who fills this role perfectly - twenty year old French Londoner, Alice Péretié. Alice’s photography and pursuit of adventure has taken her to many different countries, particularly those on the African continent. She fell in love with Africa the first time she lay foot on Namibian soil in her early teenage years. She vowed to go back, and has since then been doing her best to stick to that promise every year. Alice began to develop an interest in photography and animals at an early age. Originally wanting to be a vet, she would spend ages watching National Geographic programmes and flicking through various wildlife documentaries on the different Sky channels. At the age of seven, Alice began to take pictures and slowly learnt how to use a disposable camera. Over the years, she then progressed on to using digital compact cameras and finally DSLRs. The ability to freeze a moment in time is something that very much appeals to Alice, not for the sake of remembering the moment, but rather for seeing it as a moment of raw beauty, power, emotion and tranquillity, and then being able to engage people in conversations about the emotions that come to them as they look at her work. She enjoys freezing a unique moment in time that will never be witnessed or happen again. Alice finds that wildlife photography a particularly relevant tool for conservation, whether that be talking about ecosystems, biodiversity, socio-ecological resilience, or the complex intertwined interests of human and non-human stakeholders. Conservation is commonly misinterpreted by those outside of the scientific realm, because the extent to which it directly and indirectly concerns society is often ignored by most, so she finds that sparking conversations about her photography (and in particular the emotions that it generates) can be a good way to open their minds to the reality of the situation. That is the main purpose she wants her work to have. As a current Arts and Sciences student at UCL, Alice’s degree is entirely focused on sustainable development, wildlife conservation and project management. As a final year student, she has chosen to write her dissertation on a community conservancy (100% Maasai owned) in Il Ngwesi, Northern Kenya. It’s been acclaimed as highly successful and used as a model all around Eastern Africa, and Alice wants to find out why. She’s looking to find the best practice methodologies that are used there, as well as seeing what lessons could be taken away, from both a social and ecological perspective (which, by the way, she believes we should stop constantly separating). Alice would be very interested in pursuing a career in impact funding, community ecotousism, or CSR consulting because her key areas of interest are education, environmental awareness and conflict resolution. As a wildlife photographer, how do you capture emotion and show the importance of conservation issues? When I started photography - at a relatively young age, with a disposable Kodak camera - I was always drawn to nature, i.e. landscapes and animals. The main thing for me as I grew up, and started developing my photographic eye was to play on the aesthetic - ‘le Beau’ as we say in French, essentially, that which automatically commands human attention and attraction. It started with eyes. When I was younger, I focused on capturing portraits, but really looked at how the animal’s stare could transcend the viewer. Obviously I was really inexperienced and I don’t think many of my first DSLR pictures had that effect, but some did and it was enough of an incentive for me to go further, learn more technique and repeat. Now though, I tend to zoom out and capture the animal in its landscape, to show the relevance of looking at whole ecosystems rather than individual keystone species. I even include human elements in my pictures now, because actually, humans form an integral part of what I like to call the socio-ecological landscape, and we can’t just ignore them, or make an abstraction of them. Any conservation initiative has a much higher chance of failure if we ignore the social aspect of things. In your opinion, what poses the largest threat to wildlife conservation? Is there anything that can be done about it? I think it’s a mix of things that create dangerous synergies. A few of the big conservation biology names like Barnosky, Brook, and Pearson - whom I had the opportunity to read and study at university - all agree on the idea that Nature is pretty resilient - one threat can be dealt with through a ‘natural’ toolkit’. But when you start combining climate change (which I think is really destructive on a food web level, disrupting blooming and egg laying patterns which has drastic impacts on the entire system) with habitat fragmentation due to human activity, or invasive species, or pollution, then it starts to become trickier to resist or adapt. For example, if climate change leads to a southward movement of a suitable habitat for a species, but that it can’t follow the new niche because of human activity then what happens? Driven to Extinction by Dr Richard Pearson (2011) is a truly excellent book - and not too pessimistic either, which I find really important - to get an understanding of the changes, visible and invisible to the naked eye, occurring worldwide. Is there anything we can do?… big question aha. I believe so. Essentially, I think the first thing is the mindset. A lot of people don’t seem to even think the environment is a priority, probably for political reasons, or to distinguish themselves from the ‘vegan trend’ - thus holding a more reactionary position. For others, it could be because personal satisfaction or capacity for survival must, I think, be met before people start thinking about wider societal issues. In general, I believe it’s a lack of understanding or prioritisation. There are wide misconceptions about what conservation actually is, or its effects on society. I think the main solution is education, or at least, integrating the relevance of nature on both instrumental and intrinsic levels. A new paradigm that becomes relevant is what I refer to as ‘relational’ - which is a set of values that transcend all other levels: you build relationships with your environment, either because you derive something from it (material, spiritual, aesthetic,etc.) and you build a pact. The point is essentially to overcome the historical, philosophical and metaphorical divorce our societies have with nature (which could be tied to the Biblical period where Man was kicked out from Eden and had to ‘dominate the earth to survive’), and reconnect with that which is around us. Humans in modern societies have become more and more individualistic - so how do you integrate the environment in a way that is acceptable for the egotistical self? It becomes easier when you build relationships with your environment because you - or the total sum of identity, ego, and super ego which all guide our actions - will see interest in the preservation of nature. You fully and consciously recognise you are part of the biosphere. It’s not about viewing the environment as a theme anymore, or an underlying issue. But something we’re a part of and that supersedes us entirely. Tough question. I’d say Harry Potter but I feel like it’s too cliché. There were a few people I looked up to. My horse-riding teacher - one of the bravest people I know, who went through a lot, and just never gives up. Her determination through adversity has always really impressed me. Both of my parents as well, they’re both such passionate and kind hearted people, and I think that I was really lucky to grow up surrounded by these values. I never really had any TV / political / famous person that I looked up to just because I was a little dubious about the whole media star side of things. I like to keep things simple, and looked to what I thought was more relatable. Although I would be lying if I said I didn’t love Attenborough’s shows, or follow Mike Horn and Bear Gryll’s adventures. In my recent years however, I have been really inspired by Albert Camus and Charles Baudelaire, two of my favourite French authors (a philosopher and a poet, respectively). Their way of conveying nature, both human and natural, and bringing them together is beautiful, and I think very finely analysed. I would recommend reading ‘The Outsider’, ‘the Myth of Sisyphus’ and “Summer’ to anyone interested in seeing the world and life in a different light. Oh and also, I was really inspired by the Ancient Greek Myths and Gods. They personified Nature and abstract ideas to make them attainable, and respectfully turn towards them, which is something I find beautiful. Is there an animal that you are yet to photograph but would like to? Hmmm…. I would love to photograph whale sharks, as it would also mean learning underwater photography technique. Otherwise, snow leopards. In fact, leopard cubs would be awesome because I’ve never seen them in the wild and I’d love to. They really are my favourite! What do you enjoy most about wildlife photography? Are there any drawbacks? I love being immersed in the bush, and the experience of it all. The reason I love Baudelaire so much is that his poetry calls upon all five senses - he wanted his verses to ‘correspond’ and ‘respond’ to one another, like through the mechanisms operating in synesthesia (when something you experience like food / music etc. triggers another experience, like seeing a colour, or remembering a smell or a memory). When you’re photographing wildlife, you have exactly that. You can smell, you can hear, see and feel and sometimes even taste what’s around you. It’s transcending and I love it. The photography part of it is maybe a way for me to immortalise that correspondence of senses, at a personal level, but then it’s also a way for me to drive conversations around what the environment means to us. I like how the artistic voice becomes a powerful medium to trigger reactions. Current drawbacks would be technical and personal. I’m never really satisfied with my work. I always want more out of it and I feel like I lack confidence in what I do. I’d like to change that, and I think it goes through learning, failing and learning again so that’s something I am dedicating more time to. Nature break or city break? My first instinct is nature break. I love it, and being immersed in nature ‘feels’ right. Whenever I run away, it’s to be lost in the middle of nowhere. I love being outside, and by that I mean in the middle of nowhere. On a mountain, on a beach, in a jungle, exploring, hiking, climbing, swimming, riding, etc. In general, I like to travel alone, just because I find I’m so much more open to meeting new people and learning about others. Plus, I feel braver afterwards. It’s always a little intimidating at first, but I think throwing ourselves outside of our comfort zones from time to time is important. I’m also secretly terrified of flying insects (the really loud ones especially), even if they don’t sting. It’s the noise that scares me, which is ridiculous and it’s held me back from so many things, so I’m determined to confront it and just see what happens. Can’t say I wasn’t relieved not to encounter Congolese hornets whilst tracking gorillas in Virunga though! On the other hand, this question actually also makes me think about what we see as ‘natural’ and ‘non natural’. The city is full of life, and maybe the fact that we let them go to waste so quickly (pollution, littering etc) could be linked to the fact that we already see it as a degraded natural space. I am really for the development of green cities. The trees in our garden are as natural as the trees in the countryside! But it doesn’t change the fact that I prefer waking up to the sound of cascades or wave breaks as opposed to honking cars. How important is ecotourism? And what do you think the future holds for it? Ecotourism is a funny one. By definition, travel is unsustainable. But we still do it, and I like how we have the opportunity to have less of a negative impact. Sustainable tourism is a crucial point to develop, because air travel has the largest carbon footprint, so we have to mitigate it one way or another. Eco tourism also implies that you be respectful of the places you visit. This may sound obvious to some, but cultural practices differ from one place to another and I have seen some shocking things. I think the basic tourist needs to be educated and aware of the local socio-ecological realities. Ecotourism is good for that. I think ecotourism is crucial but we must be weary that it doesn’t become a ‘green-washed label’ that’s just hiding unethical or less ethical practices. I’d like to see eco-something become a norm, and for that to happen we have to make it desirable for those who will consume it (it’s a product essentially). I think that today, consumption is a way for us to exist, so what we consume tends to define us and the ways in which we believe other people see us. So I think ecotourism is important but it has many challenges - how do you make it accessible? Do you even want to make it accessible? A lot of luxury lodges defining themselves as ‘eco-touristic’ are beyond affordable. On the other hand, the luxury side of it makes it attractive to the very portion of the population who can afford it, and who wants to consume it, because it’s exclusive. Conservation needs large amounts of money, so which is more efficient? What is it about Africa in particular that you love so much? Everything. The smell, the sounds, the people, the landscapes, the happiness - joie de vivre - and the innocence despite difficult realities. It’s beautiful and I literally fell in love. Physically, emotionally, spiritually. The feeling is very hard to describe, but ask anyone who has been to Africa and who keep going back: they’ll make the exact same description. The list of places I want to go to is huge, and I keep coming up with new destinations that I want to go to. The only thing is, because I have an aversion for mass tourism, I always seek to go to places off the beaten track. So usually it’s remote, hard to access, potentially dangerous and expensive, which limits my travel abilities for the rest of the year (#StudentLife). In general, I try to travel to places in Africa where I know the presence of visitors is needed, like Virunga. 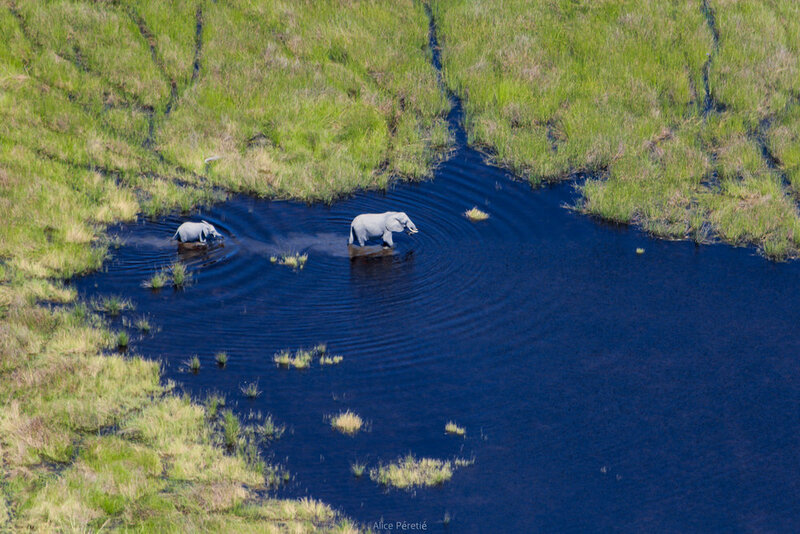 I am dreaming of going to Zakouma in Chad, and to the Central African Republic to see the forest elephants. Ideally, I would also like to go back to Virunga to explore the central sector up in Lulimbi, and climb the Rwenzoris Mountains (mountains of the moon). After Kilimanjaro, I realized how much I enjoyed summiting, and I’ll hopefully soon be preparing for an Aconcagua summit for 2019. The next climb took me to Mount Nyiragongo (Democratic Republic of the Congo), an active strato-volcano in the Goma Valley! Tell me about your dissertation. What do you hope to find out from the results? Oh my dissertation. It was a long, long journey. Felt like I was crossing a desert. It was fascinating. And the topic I chose was very complex! Essentially, I was looking at conservation through a socio-ecological lens, focusing on a case study in Northern Kenya: The Il Ngwesi Community Conservancy, or the first 100% community conservancy to see the light 20 years ago. The local Il Laikpiak Maasai decided to turn their land into a Group Ranch for conservation, deriving revenue from eco-tourism, to bring development in one of the poorest areas in Kenya as well as help mitigate the effects of the drought both ecologically and socially. They want to restore the declining Elephant, Grevy’s Zebra, Wild Dog, and Gerenuk populations, amongst others, and especially reintroduce the critically endangered Black Rhino to their land. What I wanted to see is why this particular project is working so well. As I said in the previous answer, ecotourism isn’t ‘all white’ and usually, local indigenous populations suffer from conservation initiatives - most of the money doesn’t go back to them, they were historically evicted from their lands in the name of a ‘pristine environment’ and this can create tensions. Sometimes only the local elite benefit, so it reinforced inequality etc. The mistake made is usually to see local communities as uniform structures, and misunderstanding their social organisations can induce tensions and conflict, which can also hamper conservation efforts. I worked out that trust as a driver and security as a direct benefit from conservation initiatives were the two things that really stood out. Security in terms of safety and security in terms of land tenure and control. The Maasai communities from Il Ngwesi were economically, spatially and politically marginalised, and being able to have an international presence through eco-tourism drastically reduced this. Once the benefits (100% of the profits go to the community) became noticeable, more and more members - who were at first sceptical - started adhering to the project one way or another. New issues arise with development and access to education, creating new inequalities between the educated (usually the younger generations) and the ‘uneducated’ - to be understood as those who do not have access to modern and westernised education, and thus the technological jargon - where new values replace old ones. Maasai are not conservationists by tradition, quite the contrary. They would chase away the animals, and actually come into conflict with them to defend their livestock, which is an essential element for their status. But now, the Maasai from Il Ngwesi are strategically positioning themselves as ecologically focused and conservation oriented. What I found fascinating was how at first, it was purely instrumental - ‘Milking the wildlife’ like they would milk a cow…but now they appreciate it on the same levels, if not more, as their livestock. So I think dealing with visibly shifting cultural practices is a challenge because at the same time they want to preserve their ways of life. I have a few projects that I’m looking into. On a personal level, properly setting up my freelance photography and website design business. Not something I want to be 100% reliant on, but a way for me to sell my work and talk about conservation. I’m also taking this year to travel more and set up this education project I want to develop in Kenya, where I want to create a systematic bursary system. Finally, I want to (if not in conjunction with the former project, perhaps at a later stage) help guides and rangers develop photography skills and get them to have a photographic voice. We always see the white male western photographer (this has nothing to do with feminism or a post modern analysis of wildlife photography, it is simply an observation), and it is very rare to come across world famous Kenyan or Congolese photographers. So I really want to see if there’s something I can do there, because I’ve met a few locals who love taking pictures! Be free. Finding your passion is not easy. Inspiration came from reading philosophy and literature, as well as putting myself way out of my comfort zone. That’s how I learnt, and sometimes it was the hard way. But I want to challenge myself: if it works out good, bring on the next step. If it doesn’t …why? What do I need to change? So I would say: open your heart and open your mind. Take your time, but not too much. Don’t be afraid to ask for help, and be humble. Thanks for taking the time to speak with me Alice, is there anything else you’d like to add? Thanks for this! I really, really enjoyed writing this, and what I love is that I even learnt stuff out of it as I was typing up my answers. Also, be sure to go follow her on Instagram!